Let me get straight into the topic. Your blog is not ranked by search engines but your posts are. When someone inputs a search query, the search engine matches the word with the keywords in your post. Thus your post is ranked according to the keyword filtration. 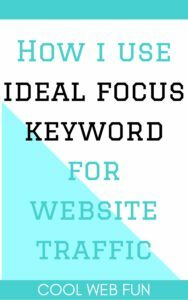 These targeted keywords are known as focus keywords. You cannot rank for all the keywords used in your post. 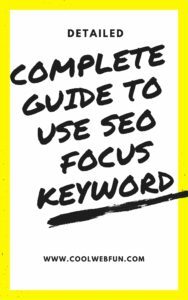 You should use some focus keyword and that focus phrase should be used strategically so that you can rank for that particular phrase. 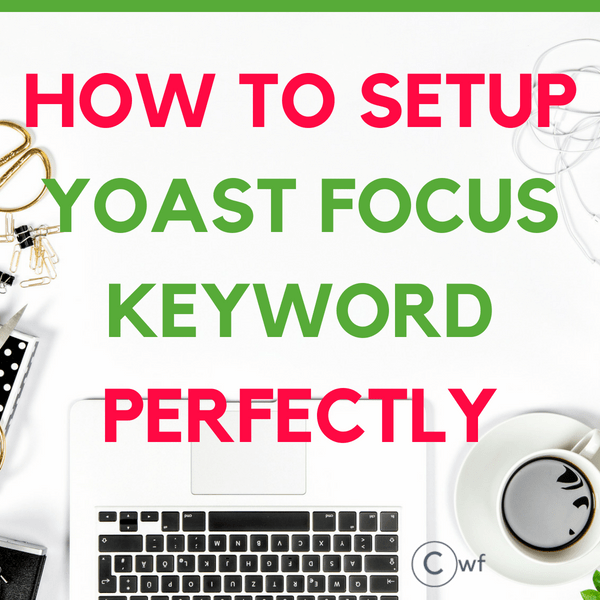 Yoast SEO focus keyword provides us with some very useful data and analysis of our keywords while writing our posts. I must admit that Yoast is the best seo plugin for wordpress. 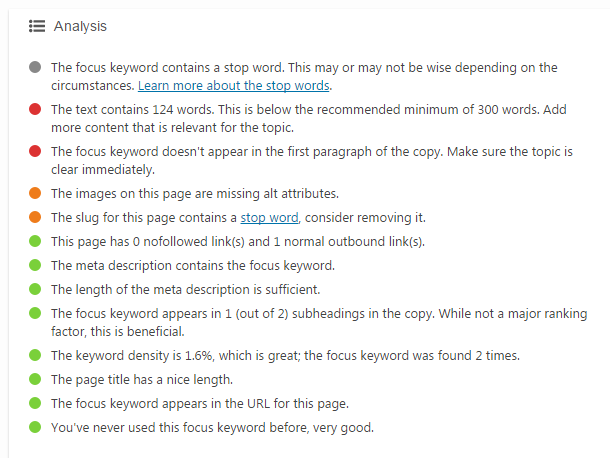 Just a brief of what this plugin does, apart from the analysis of your focus keyword. 1. Yoast has made everything so easy. You can verify your social profiles like Pinterest, Twitter, Google Plus & many others. 2. With one click you can now verify XML sitemaps. 3. You can even exclude the posts which you do not want to index. 4. You can set your meta keywords, meta descriptions of your blog. 5. You can authenticate your website with Google Search Console using Yoast Plugin. 6. You can enable breadcrumbs, re-direct permalink structure and many more. I cannot believe that Yoast is a free plugin 🙂 Though the Premium version is there. But we can do so much with the free plugin too. Yoast provides a fantastic feature called Content Analysis of the post. Let us take a look at the example. I am writing a post about Colorful Butterflies. Remember this is just an example so I have not done any keyword research before choosing my focus keyword. I have chosen my Focus Keyword to be colorful butterflies in garden. 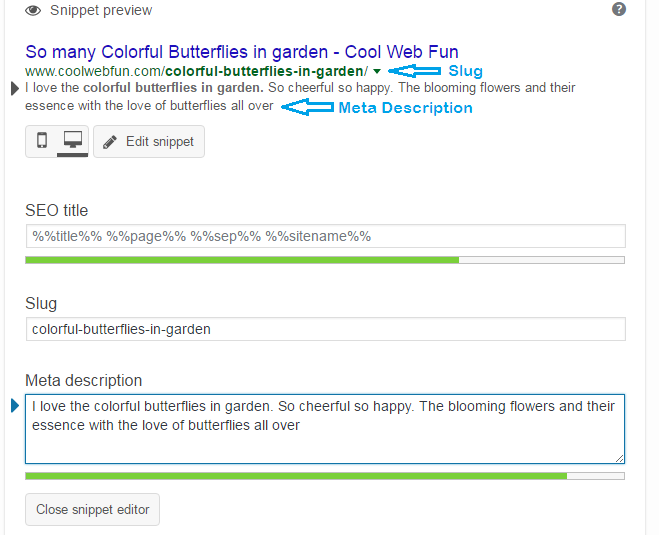 By clicking on Edit Snippet you will be able to check the slug and write the Meta Description on your own. It is the set of words which appears in the URL of your post. It is better to keep the slug short, sweet and meaningful. A slug may contain stop words. Stop Words are words which we frequently use while writing a post. Stop words do not hold any significance in search queries. Google ignore stop words completely. So the stop words are usually filtered from search queries as they return massive unnecessary information. Do stop word hurts SEO? What if Google starts showing results considering stop words? Can you imagine the chaos. Words like ‘your’, ‘the’, ‘with’, ‘in’ will appear in every article so how is it going to display the result? So Google makes a very low priority for this stop words, mostly ignoring them completely. Definitely, search engines are much more interested in other keyword queries. For example Suppose my focus keyword is ‘ black paper for wrapping board’. If someone has to search for it, they will generally write as ‘black paper wrapping board’. So, we as a user also do not use stop words while entering search terms. Ask yourself how many times you have entered search queries with ‘your’, ‘with’, ‘a’? In this case, if someone is having focus keyword as ‘black paper wrapping board’ is likely to rank higher than the person using ‘for’ in the focus keyword phrase. So, stop words does affect SEO. But we cannot always avoid stop words as it will not make any sense of our URL. It will give a bad user experience. I personally have rarely avoided any stop words as I focus more on user ease of understanding. You can read handling stop words by Yoast Seo. A meta description is a very important feature so do not let the search engines to choose your meta descriptions. The starting lines of your post are usually taken by default as Meta descriptions. It is always wise to edit the snippet and write our own meaningful, keyword rich Meta descriptions. 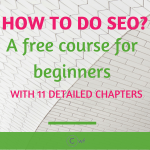 The meta description is as important as the Title of the page; as it is visible in the search engines and it makes your post clickable to the user. Meta description describes your web page and is one of the most important ingredients of On-Page SEO. The meta description should be very catchy and it should tell the readers about the post content. We have already discussed what is a stop word and whether to use it in our focus keyword or not. Long posts with 2000-3000 words are mostly successful. It is seen that long detailed posts are the ones which get the most number of shares in social media. On an average, a post should consist of 600-700 words. Yoast plugin tells us that a post should contain a minimum of 300 words. 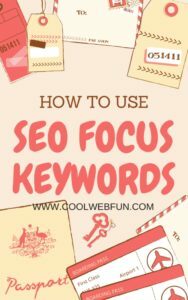 Yoast SEO Focus keyword is the word or phrase which we are targeting for our post to rank in search engines. So, it is better to use it in the first para itself as it will clarify the motive of our post and also increase our keyword density. It is a very important thing. Your images name should always contain the focus keyword in it. Suppose you write about baking. Someone searches for yummy cakes in image search or Pinterest and your image text describes it as picture003.jpg. So will it show up in the results? No. 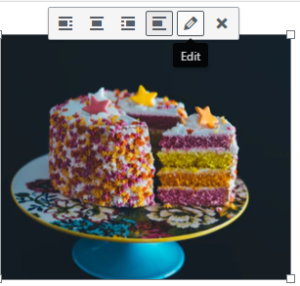 So there comes useful alt text (alternative texts) which you can edit for each image. Click on the edit tab. Now you can put your own alt text for best SEO practices. No followed links are the links which do not pass any link juice to our site. This page contains 1 normal outbound link means that the post has been linked to an external page. Here I have given the link to ‘Yoast stop word handling page’. So it makes a normal outbound link. Meta Description has already been described. Use of seo focus keyword in meta description is highly recommendable. As mentioned above, meta description is a 160 character snippet. Make the most out of it by writing some useful description of the post. We give sub heading to make our posts more organized. So when a focus keyword is used in the sub headings it clearly says that the focus phrase is an important part of the post. 1-2 % of Keyword density is considered good by Yoast Plugin. 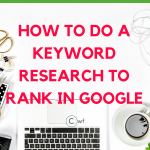 Have a look at the complete Keyword density guide for best SEO practices. Page Title length can consist of 140 characters. Beyond 140 characters it will be wider than the view-able limit. You can write long post title and include your target keywords within the recommendable limit. Using focus keyword for the slug is definitely good for SEO. It helps search engines to filter the post for your targeted keywords. You can write another post using same focus keyword to rank both your posts for same targeted word. But surely when you use it for the first time it is better. Using the same focus keyword for a 2nd post can cause duplicate content issues. Duplicate content issues must be avoided as it will impact SEO negatively. Use of proper Yoast SEO focus keyword can dramatically change your web page rankings. It is not necessary that you should have a green signal for all the points in the content analysis. Getting confused from where to start in SEO. 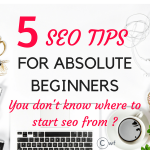 Check out SEO for absolute beginners to get started. Terrific break down for all points. I’ve been using Yoast SEO for a couple months and a few of those have confused me, though I still strive to garner those ‘green’ lights. Hello Heather thank you for the comment. Always it will not be feasible to get all the green lights but yes definitely try to get the maximum as possible without effecting the readability of your users. Super info 🙂 thank you! Wonderfully explained. I installed Yoast on the first day of my blogging and continue using it. It’s taken me three months to figure out the various sections and functions of the plugin. Your post will be super helpful for all new bloggers. If you still have any problem just drop a comment. Now I have a better understanding of SEO.